Served as an efficient lifting system, 6 ton gantry crane can significantly improve the level of your production as well as bring maximum interests to your business. Gantry crane 6 ton is widely applied in varied working occasions to accomplish lifting jobs, such as workshop of repairing and assembly lines, warehouse, freight yard, construction site, dockside and shipyard. The 6 ton cranes supplied by our company will be configured based on your individual needs. 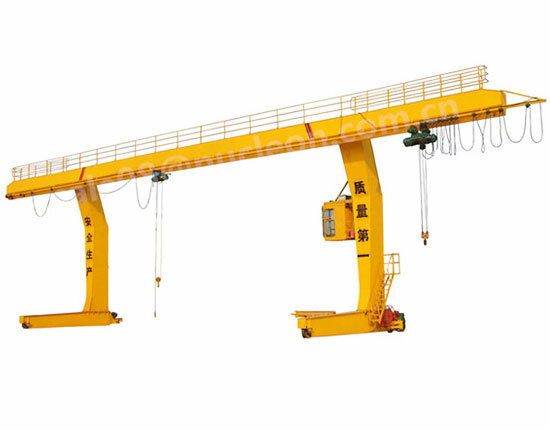 In general, they can be classified into single girder and double girder according to the number of beams, full gantry crane and semi gantry crane according to the supporting leg construction. For the flexibility of lifting and moving large objects, we also supply mobile gantry crane. Our 6 ton gantry cranes are manufactured with quality component parts and also under strict supervision of our specialists to make sure they have good quality and reliable lifting performance. 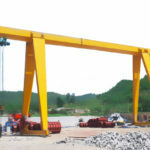 Single girder gantry crane: it is the most common lifting solution for your 6 ton lifting needs. The MH single girder crane is a typical A frame gantry crane which can load and unload heavy goods weighing up to 16 ton. Its work duty is A4. 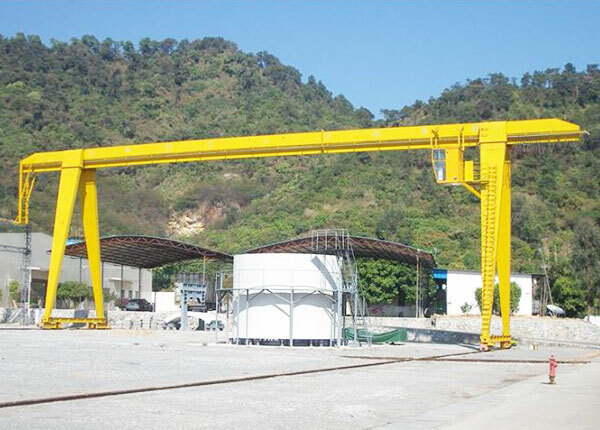 In addition to A frame crane, we provide L shaped gantry crane for your particular lifting requirements. It is suitable for handling long items and can lift with a larger capacity ranging from 5 ton to 50 ton. 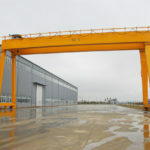 The work duty of L type gantry crane is A5. In short, with respect to the load type, load size and working environment, each model has its own advantages. 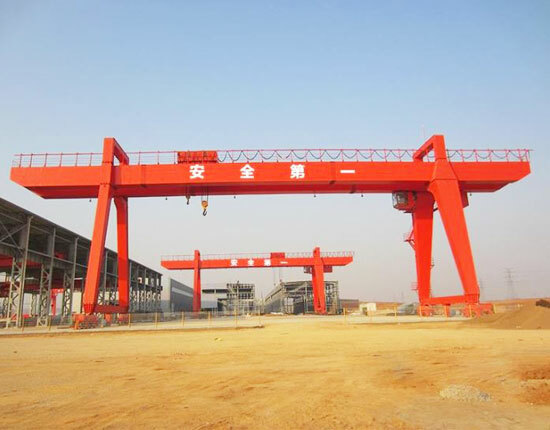 Double girder gantry crane: it is a more powerful lifting system that can carry out heavy lifting work such as 100 ton and even beyond. Compared with single girder crane, it is capable of dealing with more arduous lifting tasks and bringing your productivity to a high level. 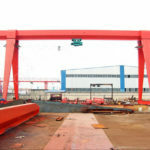 With regard to gantry frame structure, A frame gantry crane and U frame gantry crane are available for you to choose from. Semi gantry crane: as the name suggests, it has a single leg on one side with the other side mounted on an overhead runway. The semi gantry crane can be configured into single girder and double girder with regard to the load weight, frequency of use and so on. Truss gantry crane: thanks to the truss structure, it allows for strong winds passing through easily, making it perfect for locations with strong winds and sandstorms. Mobile gantry crane: it provides high portability for your material handling and is able to lift heavy goods up to 10 ton. Made of steel or aluminum, the portable gantry crane is a cost-efficient and flexible solution for various fields. In addition, adjustable height and span design is optional to fit your different ceiling heights or make it easy to pass through the narrow doorways. To complete your varied lifting jobs and enhance efficiency, the 6 ton gantry crane can also be built with or without cantilever. We also provide custom design for special lifting needs. 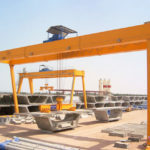 Gantry lifting equipment has gained large popularity among plenty of gantry crane users as it offers great efficiency to your plants, so it’s time for you to invest in a gantry crane. The mentioned above, the most prominent feature of gantry crane is that it can bring your productive efficiency to a new level. Unlike other types of lifting equipment, such as forklift, it covers a wide range of lifting capacity and is also suitable for heavier lifting application. 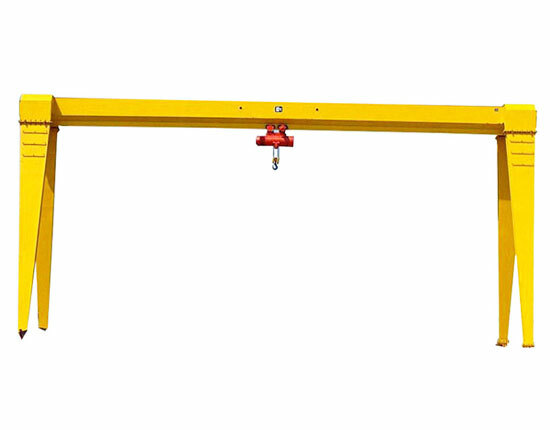 The gantry crane has a wide range of applications, and it is suitable for both your indoor and outdoor lifting occasions. The gantry lifting system can also be moved from one location to another easily, adaptable for different lifting needs and working environments. Besides, it can ensure the safety of gantry crane operators. For the crane control system whether it is controlled within a cabin or from the ground, several safety devices are outfitted such as emergency stop button and limit switches. Investing in a gantry crane will of course involves the consideration of return on investment. As seasoned gantry crane supplier, we will offer the most economical lifting solution to maximize your benefits. 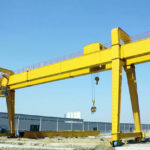 Contact us now to get the best gantry crane price. Hoist is the most critical part of gantry lifting system for that it undertakes the major task, lifting heavy loads. The hoisting mechanism is mainly used to raise and lower items and can be mounted to a trolley running along main beam. The 6 ton gantry crane hoist comes in various configurations and constructions, including wire rope hoist, chain hoist, hook mounted type and trolley mounted type hoist. The hoist can be operated manually or electrically, and the electric hoist is the most popular option for many gantry crane users. The electric wire rope hoist is available in many different models, such as CD, MD common electric hoists and ND European standard hoist. The wire rope hoist covers the most lifting needs of customers, from 1 ton capacity to dozens of tons. Electric chain hoist can be a cost-efficient substitute to wire rope hoist when used for light duty lifting applications. It is more often used in workstation and shop. 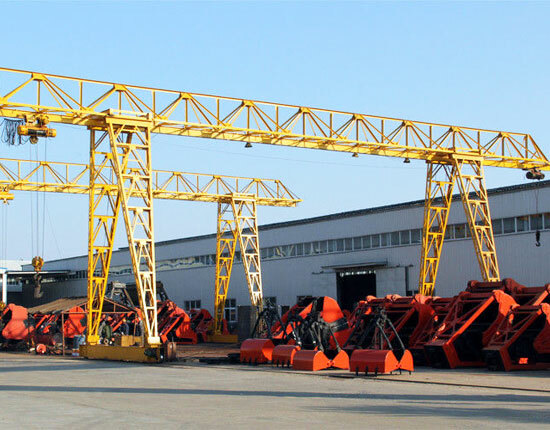 According to the type of loads, the hoist gantry crane will be equipped with different lifting devices such as hook, grab, electromagnetic chuck and special spreader. 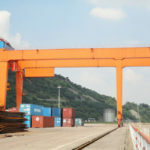 For example, grab crane is suitable for handling bulk materials such as trash, and gantry crane with spreader can be used to load and unload intermodal containers. We have a variety of 6 ton gantry crane for sale and each style is designed and built to suit your specific applications. To meet your heavier lifting requirements, we also supply 10 ton, 20 ton, 50 ton crane and beyond. 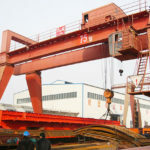 Our gantry cranes have been exported worldwide such as Vietnam, Indonesia, Pakistan and Nigeria. We aim to satisfy our clients to the utmost by means of offering quality products and dependable services. If you are looking for a reputable 6 ton gantry crane supplier, come to Ellsen, and you will also get an affordable gantry crane price.